The staff of Grace Polaris Church, a Grace Brethren church on the north side of Columbus, Ohio, has announced that original buildings built by the congregation have been sold to Worthington Christian Schools, a subsidiary of the church. The sale was detailed in a recent email to members of the congregation, which is led by Pastor Mike Yoder. In recent years, the facility, located at 6675 Worthington-Galena Road in the Columbus suburb of Worthington, has housed the administrative offices of the church. Those offices relocated to 8724 Olde Worthington Road last summer to be closer to the church’s Worship Center at 8225 Worthington-Galena Road, Westerville, Ohio. “Worthington Christian Schools is still a vital ministry of Grace Polaris Church,” says Jim Augspurger, executive pastor. Previously, the high school (located in Worthington) and the elementary school (located in north Columbus) buildings were gifted to the school. The complete email appears below. It was signed by Troy McIntosh, Head of School, Worthington Christian Schools; Jim Parrish, Assistant Head of School, Worthington Christian Schools; Mike Yoder, Lead Pastor, Grace Polaris Church; and Jim Augspurger, Executive Pastor, Grace Polaris Church. For the past 41 years, our two entities have labored together to see young lives shaped by the Word of God and the Gospel of Jesus Christ. We thank God for the teamwork and mutual support we enjoy. This is seen in the partnership of staff, ministry events, and facilities. Many of you are aware that our organizations have been working in recent months on several facility opportunities. On behalf of both ministries, we’d like to inform you of the sale of the “Administration Center” from Grace Brethren Church of Columbus (dba “Grace Polaris Church”) to Worthington Christian Schools, Inc., effective February 28, 2014. 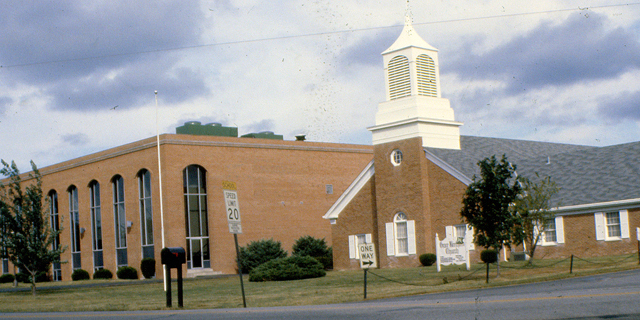 The Administration Center (AC) formerly housed the offices of Grace Polaris Church, as well as some offices, classrooms, and larger events for Worthington Christian High School. In June 2013, Grace Polaris Church leased new office space closer to the church campus. Then in July 2013, WCS entered into a three-year lease of the AC from Grace, with the option to purchase the building. This purchase has now been completed after the requisite appraisals, legal work, and financing. The leadership of both organizations worked together toward the sale/purchase of the AC. This includes the input and approval of both the WCS School Board and the church College of Elders. Together, we view this as a significant “win/win,” serving long-term facility interests of both church and school, and providing long-term financial benefit as well. Leadership from WCS (Troy McIntosh and Randy Steckel) and Grace (Jim Augspurger and Jim Kanzeg) were involved in the negotiations and positive outcome. Rejoice with us in God’s leading in this milestone! And continue to pray for both Worthington Christian Schools and Grace Polaris Church as we pursue the purposes God has given us for such a time as this.